Android Oreo has been around on Galaxy S8 devices for the last few months, but only in beta form. This gave Samsung the opportunity to work out any major bugs before releasing the final version to S8 and S8+ owners. You may remember that Samsung recently ended the beta program, but stopped short of revealing when the update would actually be rolling out. Samsung has been notoriously quiet about its schedule to release new versions of Android, leaving users in the dark for months. The wait is now over for those who could not partake in the Oreo beta program, as Samsung has started rolling out the latest version of Android. The catch here is that this is not a widespread release, as Samsung started the update for owners in Germany, before moving to other European countries such as France and Poland. The update itself weighs in at 487MB and brings Samsung Experience 9.0 to the Galaxy S8, which includes a slew of new features. On top of the additions provided by Oreo itself, Samsung has also thrown in a few goodies of its own. These include the new Dual Messenger, which allows users to run two instances of the same application at the same time. One notable “feature” missing from the Galaxy S8 update is Project Treble. This was announced last year and is intended to help increase the speed of software updates. This means that Samsung would be able to bring new versions of Android to your devices quicker. However, this is not as big of a deal as some would expect considering that there has yet to be any real evidence of Project Treble providing a faster update. Luckily, we should begin seeing some answers regarding Treble in 2018, as any smartphone that ships with Android Oreo in-tow, is now required to have Project Treble on board. The same cannot be said regarding devices that are just now being updated to Oreo. While Oreo begins making its rounds in Europe, we can only assume that it will begin coming to more regions in the coming days and weeks. In fact, I would venture to guess that the full rollout will at the very least begin ahead of MWC 2018, where the Galaxy S9 and Galaxy S9+ will be unveiled. 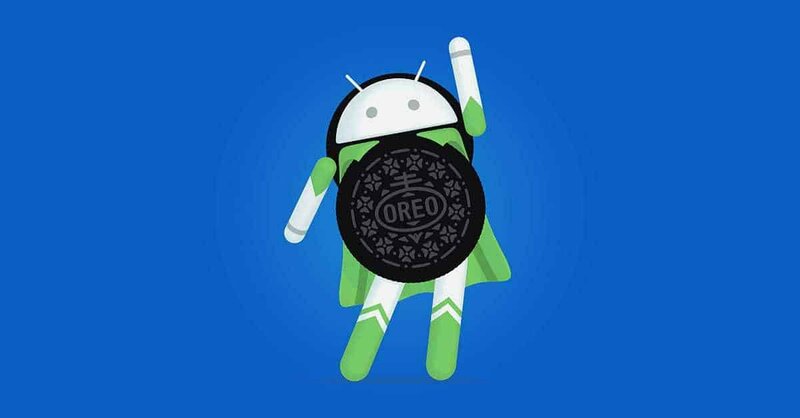 Be sure to sound off in the comment section below and let us know whether you have started seeing Android Oreo arrive on your devices.